A couple of weeks ago there was an interesting little article in the New York Times on the history of lime cordial and the definition of a proper gimlet. Obviously, there was discussion about that bright green abomination called Rose’s, which has certainly seen better days. Shelf stable through the apocalypse, this is about the only ready-made lime cordial available on the market, which presents a problem for those seeking out a “proper” gimlet, one that simply consists of lime cordial and gin or vodka. But you can read the article for more details. 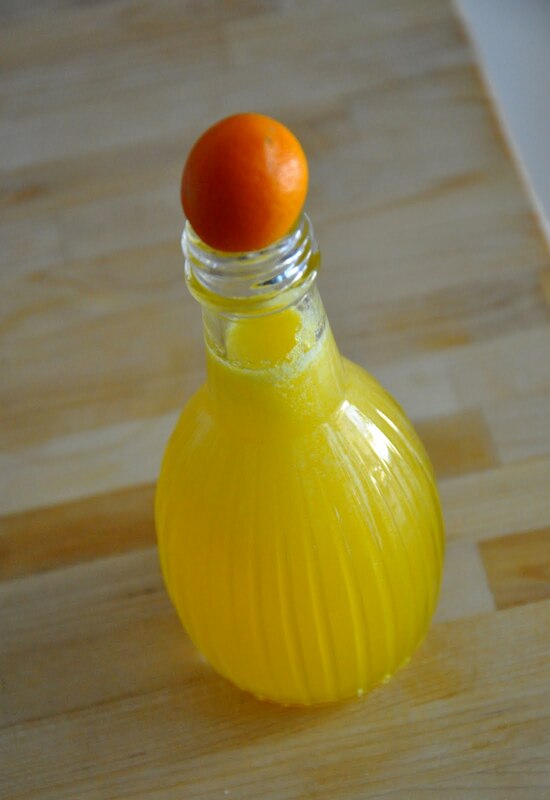 The writer offered up his recipe for a homemade “raw” cordial using fresh juice and zest. The first thing I did after reading it was head to the store for some limes, but I got distracted by the huge bin of kumquats in the citrus area. I still got the limes, which later funded a few delicious margaritas, but I decided to experiment with kumquat cordial instead. Overall, I was pleased with the results, which take a couple days to achieve. By combining superfine white sugar, kumquats, and a little white rum, I ended up with a pleasantly tart, tangy and sweet cordial that works well in cocktails. The recipe below is for a test batch size of cordial, which if you're not entertaining, is probably reasonable to make cocktails for two people throughout the week before one loses interest and moves on to another project. Feel free to multiply it as you see fit. 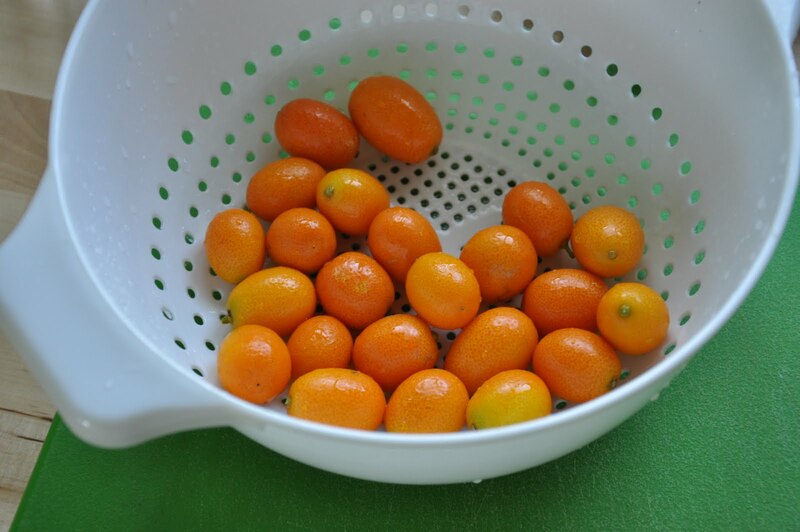 Slice the kumquats into small pieces, or into thirds. Cover with superfine sugar and the rum. Agitate the mixture and then place in the fridge for two days. On day two, take a muddler and mash the fruit well. Put the mixture back in the fridge. The next day, pour the contents into a blender, pulse a few times, then strain out the solids. Refrigerate and keep up to three weeks. *Save yourself some money and make your own superfine sugar. Put regular white sugar in a food processor and zap it until it reaches the consistency you’d like. In a cocktail shaker filled with ice, shake about 10 seconds. Double strain into a chilled cocktail glass. 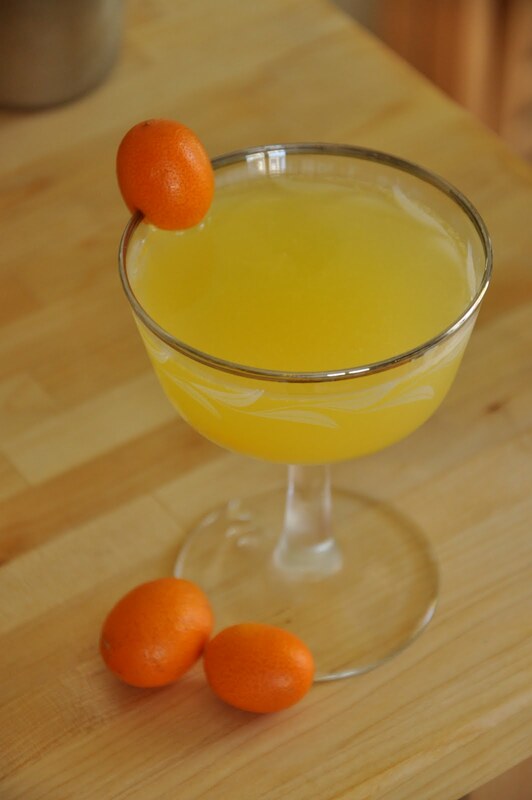 Garnish with a kumquat slice floating in the drink or a kumquat on the rim of the glass. In a cocktail shaker filled with ice, shake shake shake, about 10 seconds. Double strain into a chilled cocktail glass. Finish off with a grapefruit twist or no garnish.